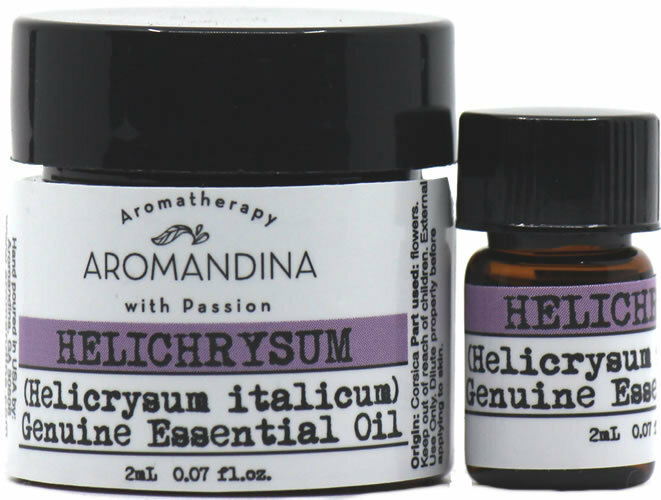 Helichrysum Essential Oil is essential for your medicine cabinet and your life in general. It helps to relieve headaches, migraines, and muscle pain. Its strong antispasmodic and expectorant properties can benefit chronic coughs and asthma. With anticoagulant properties, it is useful in the treatment of bruising. Great for abscess, acne, burns, wounds, etc. The word Helichrysum comes from the Greek helios = sun, and chrysos = gold, the oil has proven to be as powerful as the sun, and as valuable as gold, at least to me. One of the components of helichrysum is Beta-Diones which is not toxic for people and has anticoagulant properties, making it very effective for the treatment of hematomas. For asthma and bronchitis: Massage some of the blended oil onto your chest. For irritable bowels: Massage your lower abdomen with the blend twice a day. For Anxiety and Depression: Before going to bed, apply the blended oil to your solar plexus, and allow all negative emotions to be released. Helichrysum oil can help heal deep psychological wounds and emotional scars. Cicatrisant: This property makes your wounds and cuts heal, and scars disappear. It is equally effective on spots left on your skin by pox, boils, etc.